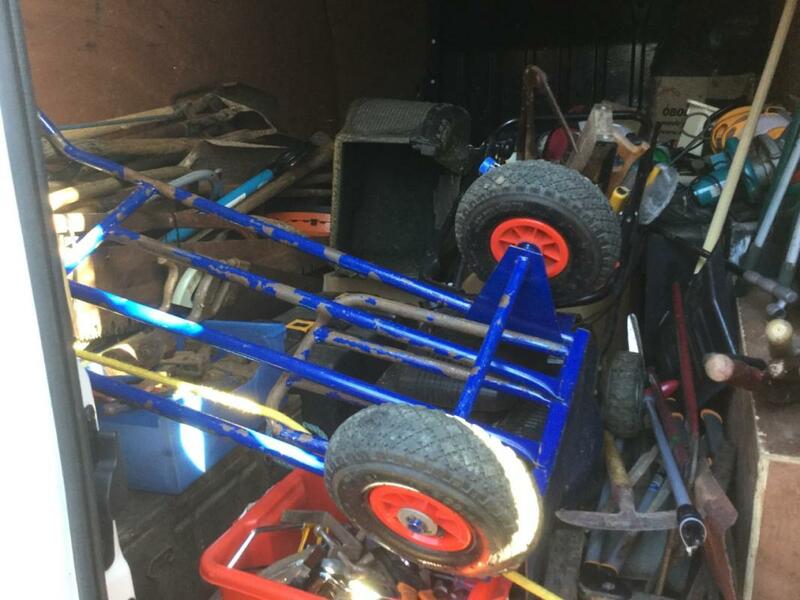 Bring along your old tools and equipment, even if not working, so they can be refurbished and use in developing countries to give individuals a start with a skill to support their family / community. 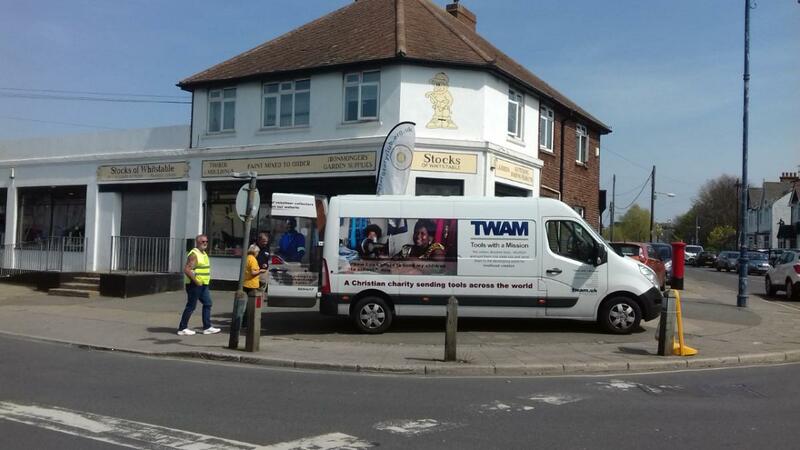 This is our annual event in support of TWAM and we are greatful for the ongoing support of Stocks in Whitstable for providing their forecourt for our collection. 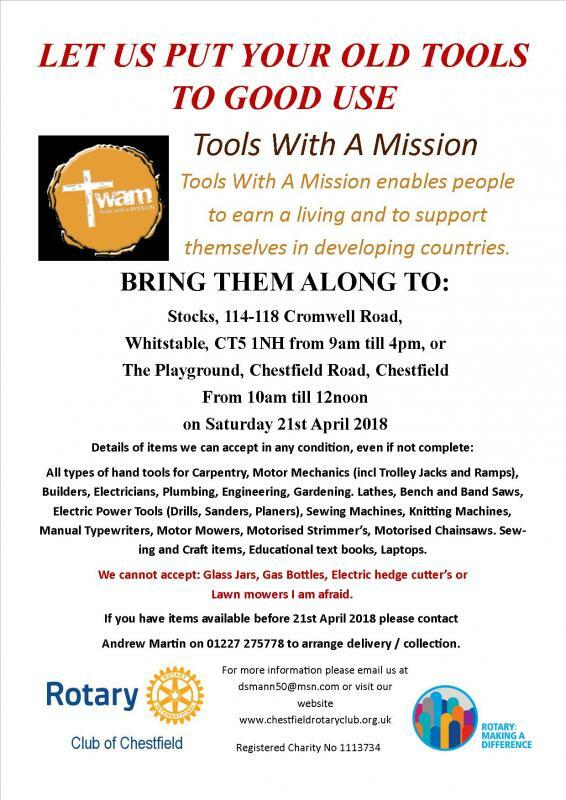 If you need things collected before the 21st April 2018 there are contact details on the poster. 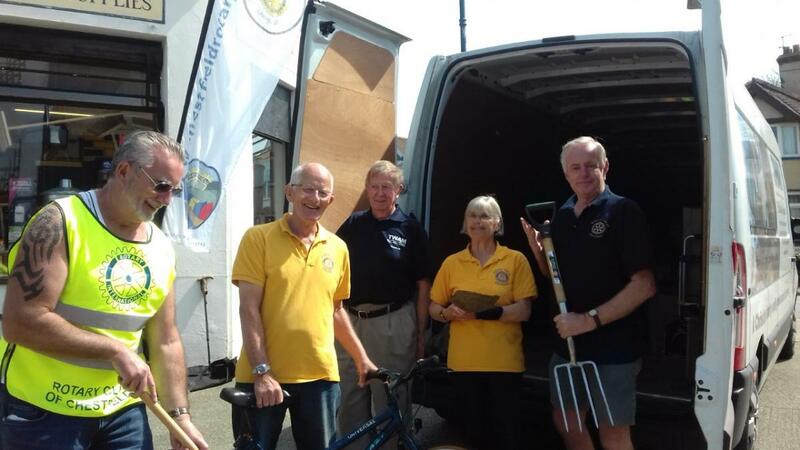 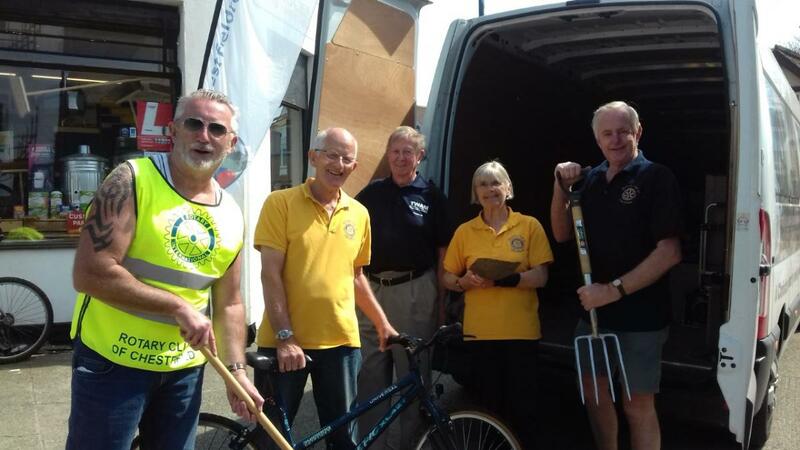 It was a great success and we filled over 3 van loads in the end thanks to everyones generosity. 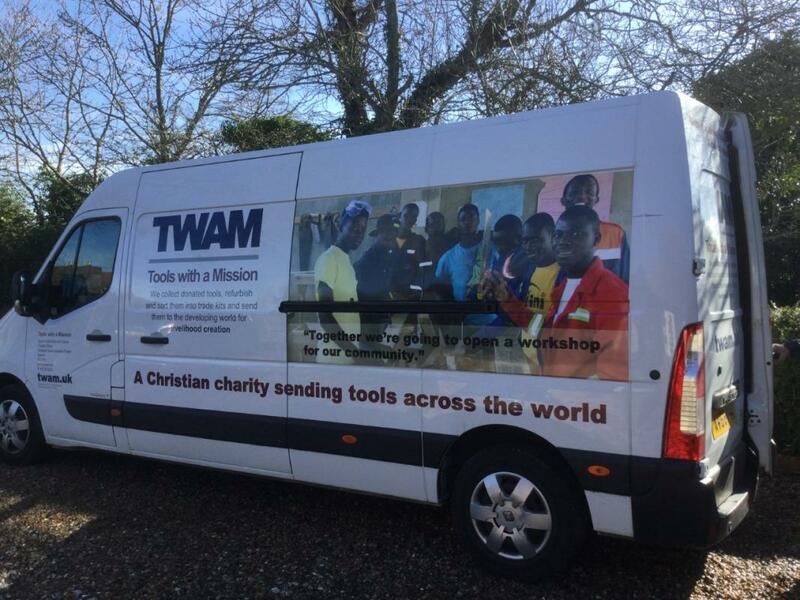 This will be greatly appreciated by TWAM and the end recipients.